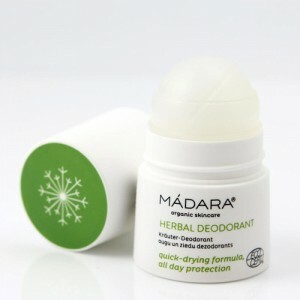 Best for dry to very dry skin. Rich and nurturing body cream with healing Northern Sea-buckthorn oil extract. 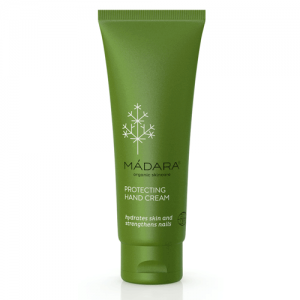 Deeply nourishes and hydrates the skin, helping to reduce dryness and flaking. Skin becomes velvety soft, smooth and protected. Also suitable for dry elbows and heels. 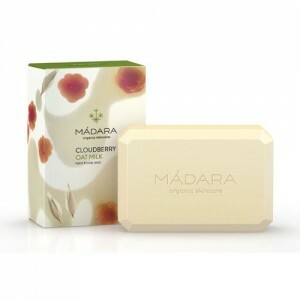 The Madara Nourishing Cream leaves skin feeling silky soft. It nourishes with natural plant vitamins, minerals, bioflavonoids and other biologically active substances. Aqua Helianthus Annuus (Sunflower) Seed Oil* Alcohol Glycerin*** Theobroma Cacao (Cocoa) Seed Butter* Polyglyceryl-3 Methylglucose Distearate Cetearyl Alcohol Hippophae Rhamnoides (Sea-buckthorn) Fruit Extract* Dicaprylyl Carbonate Algae (Algae) Extract Calendula Officinalis (Calendula) Flower Extract* Chamomilla Recutita (Camomile) Flower Extract* Plantago Major (Plantain) Leaf Extract* Stearic Acid Palmitic Acid Tocopherol Ascorbyl Palmitate Xanthan Gum Sodium Phytate Lactic Acid Aroma** Citronellol** Limonene** Linalool**. * ingredients issued from Organic Agriculture; ** natural essential oils; *** inorganic substance; Natural and Organic cosmetic certified by ECOCERT SAS B.P. 47 F-32600 according to ECOCERT Standards. Apply daily to dry skin all over the body after bathing. 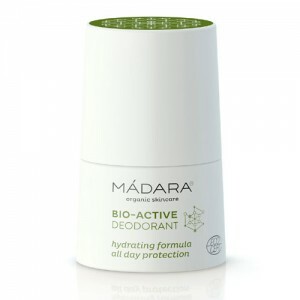 Apply at least twice a day to especially dry areas - elbows and hands, knees and feet.